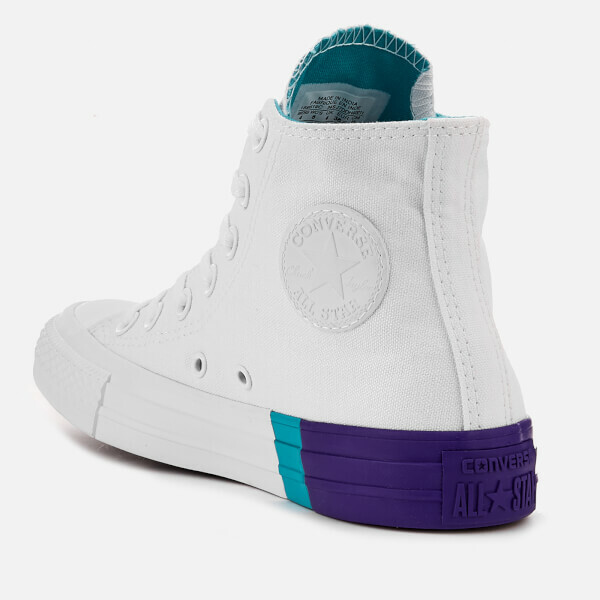 Women's hi-top trainers from Converse with a white canvas upper. 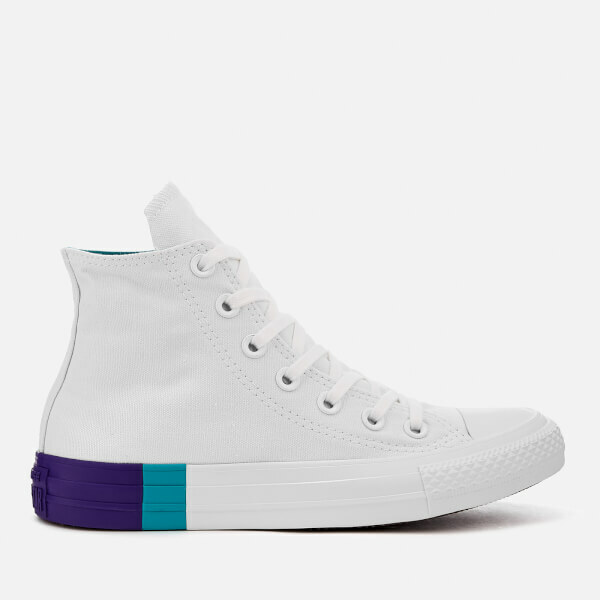 The 'Chuck Taylor' sneakers comprise a tonal lace-up fastening, signature rubber toe cap and round 'All Star' logo to the side. Ventilation eyelets also feature. 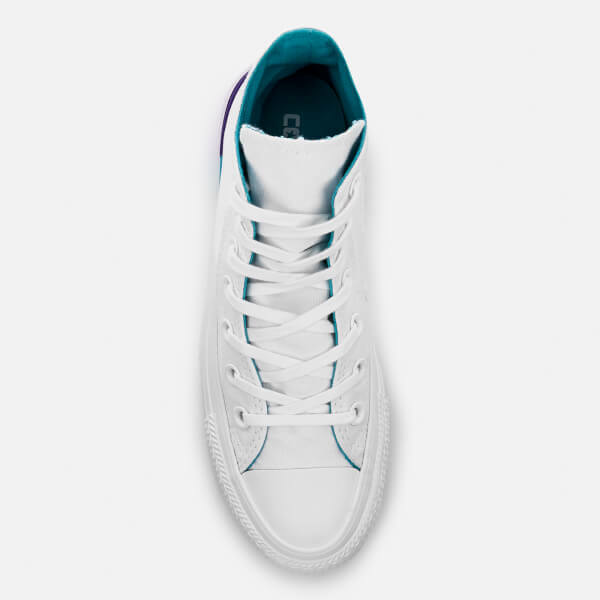 Set on a chunky rubber sole with contrast colour accents and a patterned tread for added grip. Complete with a contrasting interior and branded heel counter.